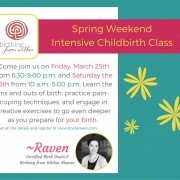 If you are birthing in Utah, know this: you have lots of choices! Choice is a great thing, but it can also get overwhelming sometimes. When it comes to where you choose to birth, you can find providers that will support you in a home birth, a birth center birth, or a hospital birth. Each of these has their own sets of pros and cons. What’s most important is choosing a place where you feel safe, emotionally as well as physically. Birth centers can provide a great middle ground for low-risk birthing families who might not want to birth in a hospital, but who also don’t want to birth at home. Maybe you live with your in-laws, maybe you live in an apartment and worry about privacy, or maybe you like the idea of going somewhere to birth your child. Whatever your reasons, birth centers can provide a home-like environment and are often an excellent choice for birthing families. To help you as you make this important choice, I’ve compiled a list of birth centers in the Salt Lake area. 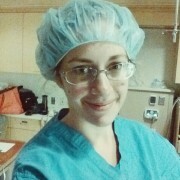 I have personally birthed with Rebecca Williams and the Better Birth team and would be happy to answer any questions you might have about them. If you notice that I’ve missed one, leave me a comment and I’ll make sure it gets added to the list. *To help you navigate this list, here are some abbreviations that will come in handy. CNM stands for Certified Nurse-Midwife. CPM stands for Certified Professional Midwife. LDEM stands for Licensed Direct-Entry Midwife. Check out this post more detailed explanations of the different types of midwives. This birth center is run by CNM Rebecca Williams. Her Murray location houses her office where you will go for prenatal appointments, and a birthing suite. You also have the option of birthing at home with Rebecca. Rebecca is a very popular midwife and works solo, so her calendar gets filled quickly. BirthWise Maternity Care has offices in Sugar House and Layton. Their birthing suite is located in Layton. The care providers of this group are Heather Johnston, CPM LDEM, Janell Peterson, CPM LDEM, Fara Bitter, who is in the final stages of her midwifery training, and Melanie Connell, a nurse who works as a birthing assistant. With this group, you will have a team of providers present at your birth, whether you choose to birth at home or at their Layton birthing suite. With offices and a birth suite located in Ogden, the Arrivals Birth Services team also supports home births. Chris Miller, DEM, works with Marie Adams, CPM LDEM and they often have apprentices or other birth assistants present at births. 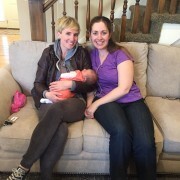 This Salt Lake City practice offers home birth support as well as a birthing suite. 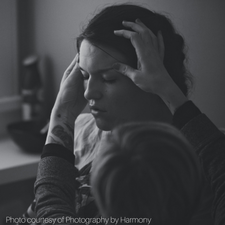 Becky McInnis and Adrienne Trahnstrom, CPM are the attending midwives and they have a whole team of assistants and doulas that will work with you during your birth. Isn’t that an amazing list? What a great area we live in–so many birthing options!